As we’re closing in on the end of one year and getting ready to start the next, a lot of people are reflecting on the year that’s past and others are looking at the year to come. I’m one of those looking to the future and I’ll tell you why: 2016 and the coming years after are going to be an extremely exciting time for games. While gaming has always been a longtime passion of mine, I do have to admit that it has felt like, in the last couple generations, innovation and creativity had been been steadily decreasing while market saturation has been steadily increasing. It wasn’t looking good as the market was looking stale and things weren’t change. Sure, there were gimmicks that came and went but nothing really stuck. There were few real surprises and the things that jumped aboard the hype train were mostly games we’d been anticipating and asking for, for years. There was a lot of vaporware, a lot of E3s that came and went that left us wanting more and spending more time laughing at the flaws than celebrating the wonders. In my honest opinion, the fifth generation was the last generation that truly brought us wonders we never thought we’d see possible and all the last couple generations did was expand on that. We never saw anything truly groundbreaking and that’s part of why 2016 is going to be an exciting year: we are going to see a lot of broken ground and whether or not it will be truly successful, we finally see companies going out and taking risks and those are the kinds of moves that change gaming for the better. Follow the jump for our preview of the year to come and what to watch for! 2016 is going to bring a lot of new and challenging stuff to the table but the biggest chip on the table, perhaps, is virtual reality. 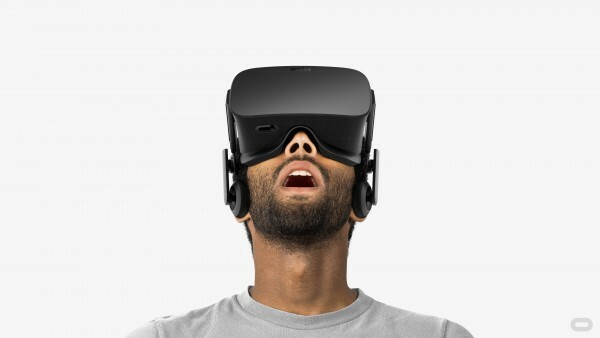 While it’s extremely far from a perfected technology there will be plenty to choose from throughout the year, all the way from the one that started this wave of headsets, the Oculus Rift, which will likely be the first out of the door and will be strictly for PC at the time of release, to the Google Cardboard, a proprietary module that sits your Android smartphone inside a module made of, you guessed it, cardboard, to the Microsoft HoloLens and PlayStation VR, which are slated to be used with and powered by their respective consoles. It would seem that no matter your choice of gaming platform, you are almost guaranteed to be able to experience virtual reality on it in some way or form and that’s some exciting stuff. Now, let’s not forget, in the consumer market, there’s been a lot of attempts to bring the “new, exciting” technology to the world but in the last three to five years they’ve amounted to gimmicks, lately. Gaming has even tried to bring virtual reality to the consumer market before but the market cost was too high and the technology just wasn’t quite able to keep up with expectations for what we thought virtual reality would be like. This seems less like a bandwagon and a gimmick but consumer response will be the only way to tell for sure. I, for one, cannot wait to try it on for myself as the HoloLense and the PlayStation VR both sound like different takes on the same idea and I have to admit both have their separate merits and I’m literally biting at the bit to give them a shot. While the two major competitors in the console market have had their respective consoles in the water for some time, we can’t forget that we still have consoles to come, yet, the first and foremost on people’s minds being the “Nintendo NX”, an ambitious looking project that seems to be taking lessons from consoles past and applying them to something entirely new and exciting. 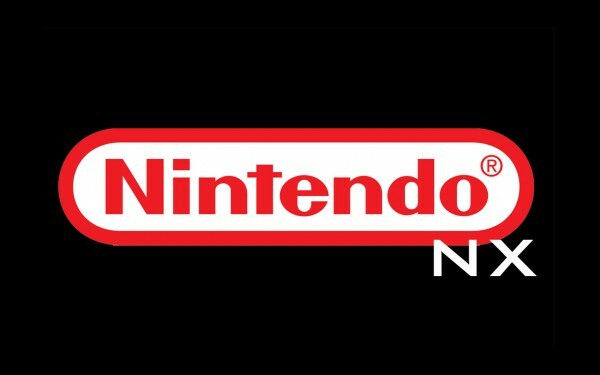 While we’re unsure when the system will actually release, Nintendo assures us that it will be at next year’s E3 and we will enjoy what they have to offer. Considering all the patent documents I’ve been seeing flying around about this system I’m actually kind of hyped to see what it has to offer. Around the bend in the console market are also the Steam Machines, dedicated platforms to run Steam-powered PC games. While this likely won’t allow the full Steam catalog to be played it gives console gamers a way to immerse themselves in a market that they were relative outsides in, before, and I think that’s a great idea. Not everyone has a couple thousand dollars to drop on a high quality PC but more people have the money to purchase one of these Steam Machines and there’s plenty of offerings from many companies. Gameplay streaming is becoming way more prolific and relevant in the mainstream than ever, these days, and sharing your experience looks like it’ll become even more solid as time goes by, this year. Sony looks to be expanding and solidifying its sharing and Remote Play experiences so that it can be used with more devices and in a more stable way and if it sees success you can expect Microsoft to follow suit. This might be way more successful, at first, for Sony, though, as their controllers are all Bluetooth capable and can sync with a wide variety of current devices on the market. Yes, while 2016 is going to bring a lot of innovation, we’re still going to see a great deal of the same old franchises that have regular releases that still stand to look pretty awesome in the year to come. Street Fighter V is probably the front-runner in this category as it stands right now as it looks to bring a little of what made Street Fighter IV so popular in the fighting game community but also harken back to, in my opinion, one of the best fighting games ever made: Street Fighter III: Third Impact. Far Cry Primal was kind of an unexpected announcement in a franchise that’s becoming a little more regular, probably in an effort to keep the franchise from getting stale: this one looks to take the same framework seen in games in the franchise’s past and apply a kind of caveman neanderthal vibe to it, setting it in what I can only presume is a kind of prehistory setting. Final Fantasy XV is a highly anticipated game that has a long, long history in development and may look to change up the Final Fantasy franchise into something completely different than what we’re used to from the series, as it feels and plays a lot more like a derivative of Kingdom Hearts, to me, than any kind of traditional console role playing game. Gears of War 4 is coming, too, under the control of a new studio and the trailer for it looks rather badass. I like the ideas of established franchises under newer studios and while I’m not a huge Gears fan the trailer for it has me hyped. The new Hitman and Legend of Zelda content looks pretty sweet, too. 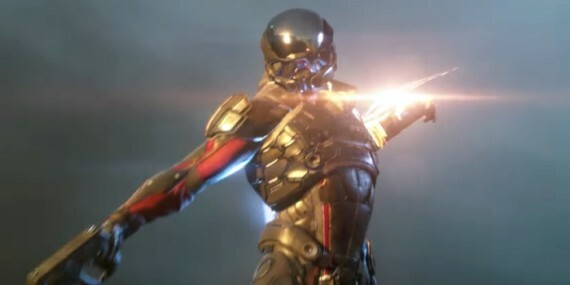 However, the big shots are pulling out all the stops with Mass Effect Andromeda, Deus Ex: Humanity Divided, and Dark Souls III, where I’m concerned. I’m really pulling for Final Fantasy XV to be something great but I’m not quite sold on it yet as I feel I need to play more to really see where I stand. No Man’s Sky, conceptually, looks like it may drop the mic on the whole gaming community but, like all concept games, it may also fall flat. Remember Spore? Adrift looks like it’s taking a suspense movie set in outer space and placing it directly in VR, which looks and sounds pretty awesome from the material released so far. Firewatch has a lot of hype for me surrounding it considering the studio that is making it has worked on all kinds of high class titles. Horizon: Zero Dawn was kind of an unexpected announcement for me because games of its ilk are very rarely challenging to the senses and morality of the player and it seems that this game may take a stab at both, even this early on in public showing. The Last Guardian was dropped on the gaming world, as well, to everyone’s surprise, with a timeline and with new content, and that has everyone psyched about the game for once: Team Ico is yet to produce something I would consider bad so I’m seriously psyched to see what comes of this game. Gravity Rush 2 is something of a niche title for me that I’m pulling for this coming year, as well, as it was one of the first games I played on my PlayStation Vita and it was pretty sweet for what it was, if not a little disorienting on a smaller screen. Playing something like that on a proper console excites the hell out of me. Another game I felt was a little niche that I loved was Mirror’s Edge and its sequel, Catalyst, is looking sharp but keeping true to the original as well. I would like to see that game try and introduce a VR element to it as well; that would be extremely awesome. However, the big titles that might not be taking the bigger of spotlights in the coming year, for me, would be Battleborn and Persona 5. I think the former may be big in the eSports scene but won’t really catch on in the mainstream after the initial hype dies down but the game looks like an awesome casual MOBA style game that doesn’t look or feel like a majority of the games in that genre right now. 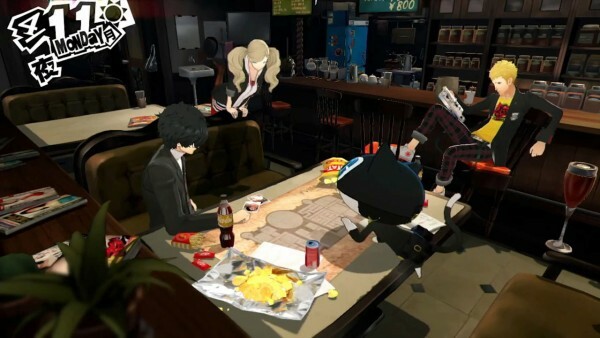 Persona 5 is a game I’ve been anticipating since I cleared Persona 4 on my PlayStation 2 for the first time so you can imagine this actual new entry that isn’t milking the previous two titles in the franchise has me extremely excited. I’m also excited to hear absolutely anything about the Final Fantasy VII Remake that was announced at E3 2015! There’s a lot of games that have me excited for this year that didn’t quite get the fanfare that a lot of announcements got this year but I feel they should be appreciated just as much as any of the others: Abzu, a game that shares an art style with games like Journey and Flower; Below, a game from the guys behind Swords and Sworcery, trying to keep within the same style but while blending in elements of Dark Souls; Bound, a game that serves to further embed the idea that video games could be used as a platform to make a truly artistic statement that can also serve to be interactive, as well; Day of the Tentacle Remastered, another Tim Schafer cash-in that allows me to relive some of my better gaming experiences anew; Manifold Garden, a title that looks about as confusing as it sounds, that takes your ideas of puzzle solving in video games and turns it on its head; What Remains of Edith Finch, a suspenseful story from the creators of The Unfinished Swan that tells the tale of a cursed family; these are only a few of the titles that I’ve been following that I would consider under the mainstream radar. 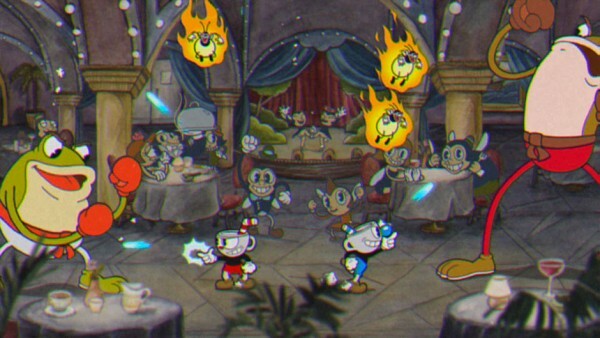 However, the one huge title that has me excited that would be considered a title that wouldn’t be considered entirely majorly hyped would be Cuphead. This quirky title looks to take the style of old Mickey Mouse cartoons and turn it into a rather unforgiving platformer. It looks and feels extremely smooth and I seriously can’t wait to give it a try when it comes out. Like I said, this is an exciting time to be a gaming fan, in spite of whether or not all these ventures flop or not. This time is one teeming with all kinds of potential and I am literally all goosebumps with the thoughts of what could come of all these new hardware and software developments. It’s only going to get better if these things succeed, as VR will continue to get better and newer game concepts will be developed as a result… it’s definitely a good time to be a gamer! What do you guys think?